TOKYO - A powerful typhoon is heading toward Tokyo after lashing southern Japan, where it killed at least one U.S. airman on Okinawa island and left two others missing. 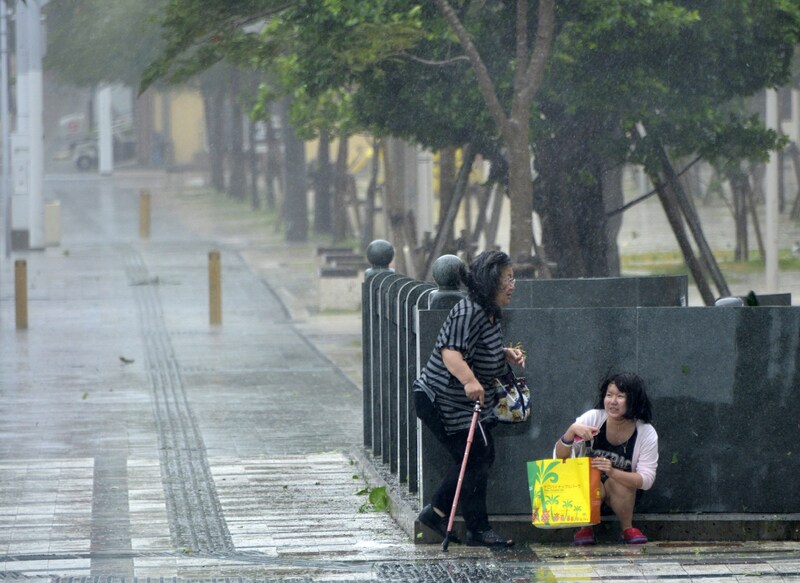 The Meteorological Agency says Typhoon Phanfone was off the coast of Shikoku in southwestern Japan on Sunday night, packing winds of up to 90 miles per hour after hitting the southern regions of Okinawa and Kyushu. Japan's Coast Guard said Sunday three U.S. Air Force members were washed away by high waves Sunday, with one found dead and the other two still missing. A Kadena Air Base spokesperson confirmed to CBS News the incident happened around 3:45 p.m. local time, and that "rough seas are complicating rescue efforts" for the remaining two that are missing. The Air Force said the names of the three will be held pending notification of the next of kin. Officials told CBS News they have not yet determined any direct link between this incident and Typhoon Phanfone, but that the sea conditions were "dangerous" when the airmen were swept out to sea.